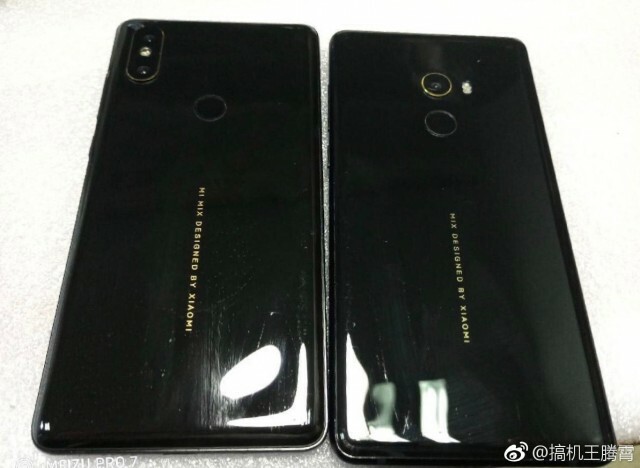 Xiaomi’s Mix phones have always had stunning design but were lacking in the camera department – something that will soon change. The Xiaomi Mi Mix 2s promises to bring a dual camera, though the rumors can’t agree on where that camera will be located. An earlier leak put it in the center (with the LED flash separating the two lenses). This latest leak, however, shows a more iPhone X-like position in the top left corner. Personally, we prefer the camera centered, but this is the exact same layout as the Redmi Note 5 Pro, which makes this the more plausible option. Unfortunately, this photo doesn’t reveal the fate of the selfie camera – the earlier leak had in in a corner notch (a previous leak wasn't too clear on that). The Mi Mix 2s will be unveiled on March 27 and will pack more upgrades than just a dual camera – Xiaomi was eager to tease the Snapdragon 845 chipset. When you have squeezy cheese on your fingers it will drip over the camera! Its not a question whether it's relevant or not. The question is who copied and from whom. It's frustrating when you're paying for design engineers and what they do is just copy the work of others. There's no originality as if they were not thinking.